As I search for a place to get some work done, I stumble onto the perfect coffee shop. I make myself comfortable near one of the window seats and order a cup of coffee. I respond to a few emails then begin crafting my weekly blog post. I then start to edit pictures and plan my feed for the week. Feeling accomplished I check off ALL the items on my to-do list. And of course, capture the perfect picture of my coffee, laptop, planner flat lay and post it to IG and hashtag it "boss things"
Waaaaait one second. That doesn't sound close to what my life is actually like. Can I be honest you guys?? I think I suffered from some blogger hype when making my new years goals. One of my things was I NEEEEEDED a planner so I could perfectly plan each of my days out so I can be the most successful blogger possible. But I failed to realize one thing. As cute and aesthetically pleasing as that coffee shop and planner lifestlyle looked like, it wasn't me. Now there's nothing wrong with that look or feel but it just doesn't fit my personality for several reasons. But the main reason is I DON'T NEED A PLANNER. I promised myself that I would be more aware of my passions and career. I work as a full time engineer. And Monday through Friday from 7am-7pm I am probably at work, driving to work, driving home from work, or getting ready for bed so I can go back to work. This leaves only three days I actually need to plan out. And since I mass produce all my blogs on weekends, I never really needed a to-do list. Because all it would say is "write blogs" on Saturday. I'll also add that I'm super OCD with my handwriting and I find myself writing and erasing, rewriting, and tearing pages out because I didn't write something perfectly. Can I tear out a week's page in my planner?? There was also this fear of writing something important in my planner and not having access to it other places. I'm not always in my room with the planner and I do not want to carry it everywhere. Not to mention having to remember to write in it in the first place. I used my planner for two weeks and each week I wrote in it on Sunday and never looked at it again until the next Sunday. On the third week I forgot to write in it completely. Three weeks in and I completely forgot about that planner. It's kind of funny actually. I psyched myself up for some suuuper organized expectation and it completely fell through. Notes is just my catch all. Everything I think and want to remember is put here. I can write blog post on the go if needed. Great thing is Notes are on the Cloud and will be available on your laptop. I'm all about that copy and paste life. There is a checklist feature in notes, so if you are a check my day off kind of person, this app will do it for you. Only con is that those to-do items aren't next to a calendar. 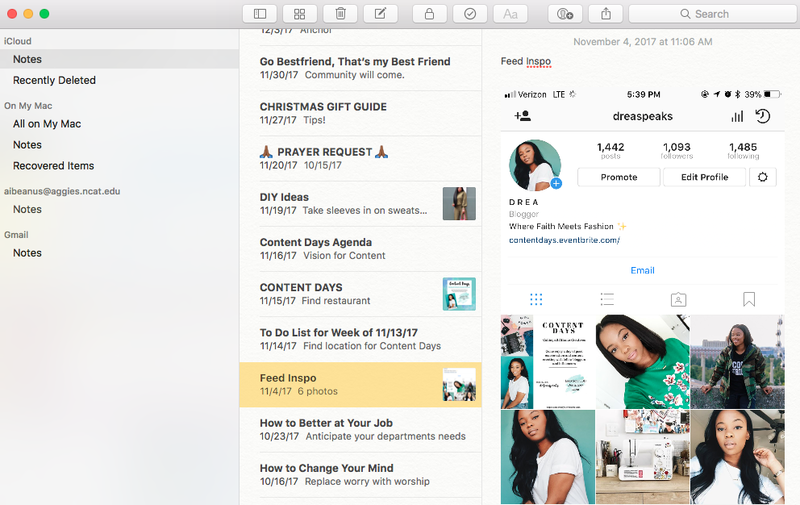 Typical things I keep in notes are, blog ideas, outfit ideas, feed inspo, prayer request, and cool quotes (for IG captions). I will be testing out Evernote to see if it is better then Notes. I'll let y'all know. Sometimes I have a thought and it just needs to be ranted about. So I recently discovered the beauty of voice memos. I can just tell it what I want. No judgement. And I think I low-key want to be a teacher/speaker at some point in my life (or maybe its a phase I'm going through) and I want to hear how I sound to others. I typically stick to broad topics when using voice memos to listen back to when I want to write a blog post. Putting my to do list items in a memo would be awkward. The mood board of planning. This is app is new to me. I downloaded it last year on my quest for the perfect organizational app but later ditched it because I wanted a planner (-__-) . 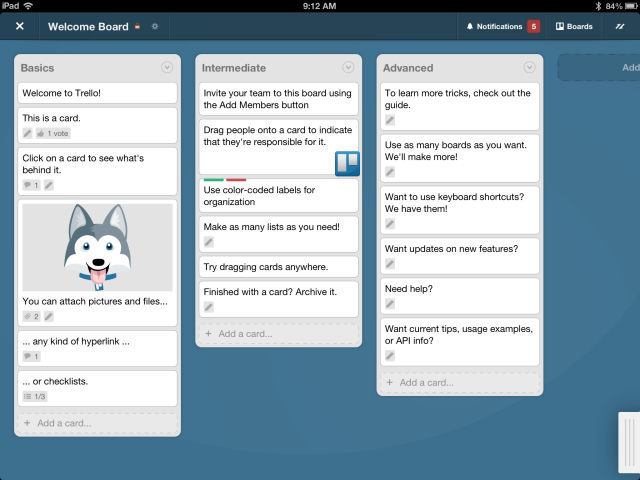 Trello allows you to create a board for whatever you want. To that you can add items. That can be a to-do lost, reminders, anything! You can let Trello know when this activity is due and label it coordinating colors. And the cool part is within that item you can make a checklist. For example. I can have a board for my Weekly To-Do List. Then I can add buy groceries, work out, and write blog to that board. Under groceries I can create a checklist of the items I need to buy! Pretty cool. I'm excited to put this app to use. The moral of this story is. Don't confuse what others need and do for what you need and should do. I had it all the way twisted when I wanted to play into this perfect blogger life with my very cute planner. But nope, I'll stick to my phone this year. If you need to write stuff down to get it done, do you boo. Gather your life how ever you see fit, this is just me reminding myself to know me and do whats best for me. I thought a planner would produce results, but for me action produces results. And a planner just made my to-do list longer cause its fun to check stuff off (amirite?? ).